Spending in fiscal 2018-19 was projected to increase by 13.2% from the current year ending in March. Mr Jaitley said the spending in rural areas aimed at creating jobs and entrepreneurs. New Delhi: Eying an election next year, the Indian government announced massive spending for rural areas and projected economic growth above 8 per cent in an annual budget on Thursday that won broad approval from economists, though bond and share markets fell. Delivering the last full annual budget before an election that will fall due by May next year, Finance Minister Arun Jaitley allocated Rs 14 lakh crore for rural infrastucture spending and extra support for farmers. Jaitley also announced plans to introduce "the world's largest government funded health care programme", saying it would cover some 50 crore of the country's poorest people. He went on to lay out plans to merge three public sector insurance companies and list the new entity. Spending in fiscal 2018-19 was projected to increase by 13.2 per cent from the current year ending in March, with about three-fifths allocated to better infrastructure in the countryside, where two--thirds of India's 1.3 billion people live. Jaitley said the spending in rural areas aimed at creating jobs and entrepreneurs, in addition to laying hundreds of thousands of miles of rural roads, building new houses, toilets, and providing electricity. During his presentation to parliament, Jaitley switched from English to Hindi as he outlined schemes to promote agriculture, organic farming, animal husbandry and fisheries, ensuring that his message got through to rural communities. The finance minister later told state-run Doordashan Television that the largesse was nothing to do with winning votes for PM Modi's Bharatiya Janata Party (BJP). "It looks like that the BJP is aiming to shore up support among rural voters, there've been plenty of measures announced to boost the rural economy," said Shilan Shah, India economist, at Capital Economics in Singapore. "It was no surprise to us that they relaxed the deficit targets." 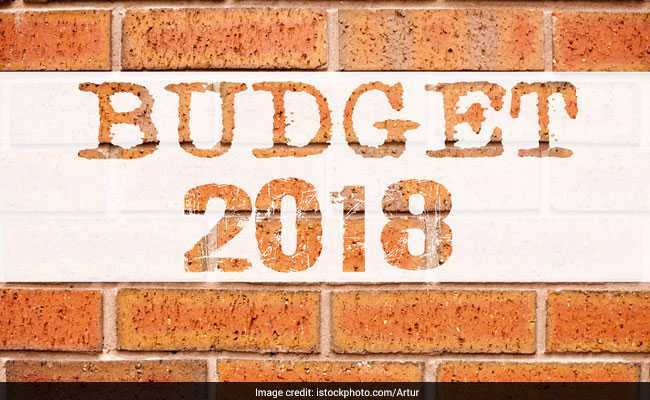 The budget targeted a fiscal deficit of 3.3 per cent of GDP in 2018-19, compared with expectations for a deficit of 3.2 per cent. The 2018-19 deficit marks some slippage from a previous target of 3 per cent for the year, and investors were also unnerved by the disclosure that this year's deficit was likely to come in at 3.5 per cent, which was much higher than expected. Unlike the bond market, analysts were unalarmed. Regardless of the weaker markets, economists were in broad agreement that the budget should help foster economic growth. An economic survey released earlier this week laid out the government's expectations that India would soon become the world's fastest growing major economy. The country needs its economy to grow over 8 per cent annually to generate jobs for the hundreds of thousands of young people entering the labour market each year. Jaitley predicted growth would be above 8 per cent soon, but for 2018-19 the economy was expected to expand by 7.2 per cent, improving from 6.7 per cent for the fiscal year ending in March, which was the weakest performance in three years. This year's growth was slowed by the botched rollout of the goods and service tax (GST) in 2017, and a shock move to ban high value currency notes in late 2016.